Who doesn’t want to eat gooey pizza in their car?? Financial services corporation Visa has unveiled its own vision of connected car technology. In Visa’s vision of the future, we will be able to order and pay for pizza from our cars without using our hands–a step above Ford/Domino’s initiative we heard about last year. According to Visa’s announcement at the Mobile World Congress in Barcelona this week, the company is currently testing this technology in a concept car which was designed in collaboration with Accenture (a technology services firm) and Pizza Hut. The concept is based on a feature called Interactive Voice Control (IVR), which allows drivers or passengers in the vehicle to order a pizza from their car–without having to pick up the phone. With a a couple authenticating taps and/or phrases, they’ll pay for the pizza using Visa Checkout. Then, the vehicle will be driven and parked in a designated spot outside the restaurant, where Bluetooth LTE beacons will sense the vehicle’s presence and alert employees to bring the food to the vehicle. 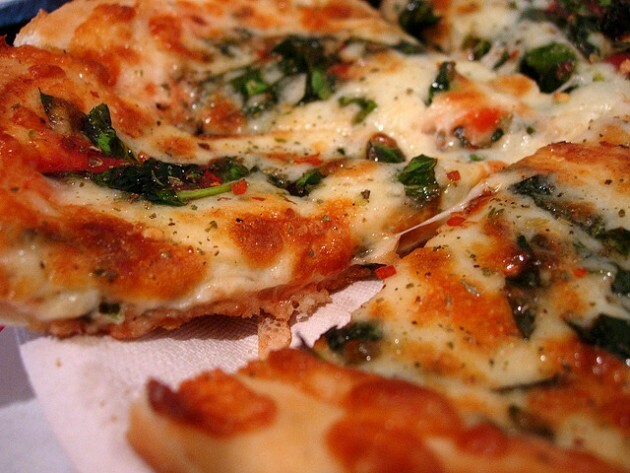 Pizza without leaving the car–how could life get any better?! While Visa’s pizza ordering system is aimed at ordering food currently, it could apply to any other goods or services which could be purchased remotely and delivered to a vehicle. Visa, and any other businesses interested in the tasty venture, will be testing the in-car ordering system in northern California over a three-month period this spring.